CMS ABS Plus hard drive loaded with CMS BounceBack Ultimate creates an image backup to handle disaster recovery. In a worst-case scenario, you lose a lot more than just your data. If your hard drive crashes and has to be replaced, or if Windows becomes corrupted and unusable, you'll have to start from square one--reinstalling Windows, removing the garbage that came bundled with your PC, reinstalling your programs, reinstalling your drivers, reconfiguring Windows, and restoring your data from a recent backup. But if you have a system--or disaster recovery--backup, you can restore everything in one go. If the system backup is older than your data backup, you'll still have to restore your data, but that's a lot easier than setting up everything from scratch. If your regular, daily backup program offers disaster recovery (as Rebit does), you have a system backup in place already. But Windows tends to get corrupted very slowly, so it's a good idea to create and set aside a permanent system backup when Windows is healthy. Rebit doesn't offer this feature. Unfortunately, backing up Windows and your applications isn't as easy as backing up data. The only reliable way to proceed is to back up the entire drive. When disaster strikes, you'll need to restore the drive in its entirety. You have two ways to back up an entire drive so that you can re­­store even Windows: cloning and imaging. Cloning involves transferring an exact copy of your main hard drive to another drive. To restore Windows, you can either clone in the other direction or physically swap the drives. 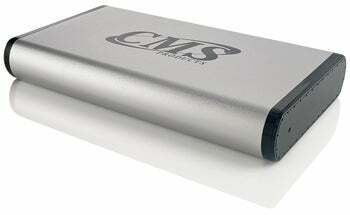 CMS BounceBack Ultimate, also included with CMS ABS Plus hard-disk drives, is a popular cloning product. Imaging involves copying a drive's structure and contents into a compressed, but still very large, file on another drive. To restore the image to its full size, you must use the same image-backup software that you created it with. I prefer imaging because I can save multiple image backups onto one drive, enabling me to protect multiple PCs for less money or to keep more restore options for a single PC. Imaging also lets me back up to DVDs, saving even more money--though it does entail swapping discs, quite possibly for hours on end. Macrium Reflect software creates an image backup to handle disaster recovery. Aside from Rebit, the major commercial imaging programs available today--Ghost, Macrium Reflect, and True Image--all provide in­­cremental backups and versioning, and these features make them fully functional data- and disaster-backup programs. If you're happy with a data-backup program that doesn't handle disaster recovery, such as Mozy or Synology Data Replicator, consider supplementing it with an image-backup program. Vista Business and Vista Ultimate come with a built-in utility called Windows Complete PC Backup and Restore. For users of other Windows OSs, I recommend the free version of Macrium Reflect. It lacks daily-backup capabilities, but it's easy to use, makes images, checks them for errors, restores them, and allows you to browse them in Windows Explorer for selective restores. You can also use it to create a bootable CD for re­­covering your hard drive even if Windows won't boot. The best time to make an image backup is immediately after you set up a new PC. The second best time is today--if you are satisfied with the way Windows is currently running. Re­­tain your first backup for as long as you keep that PC; it's a better recovery tool than the one that came with your PC. Making additional image backups every so often--after in­­stalling a big application, say, or a service pack upgrade--is wise. Or make one every three to six months. You don't need to keep them all; just the first one and the last one or two.